Embark on a journey filled with excitement and joy as you enter an exquisite playground for gamers. Begin your adventure with nothing to lose by taking part of a valuable welcome offer and indulge yourself with a library filled with a wide range of different eSport odds. Find pleasure in a bet placed on CS:GO, Dota 2, League of Legends and several other eSport titles and up the amusement by betting on one of the many entertaining markets offered. Maximize your chances of winning by a huge database of statistics and never miss a minute of the action packed matches with plenty of live streaming offered as you place your bets! Continue reading the full brand review or dive right in to this wonderful experience by clicking the button below! 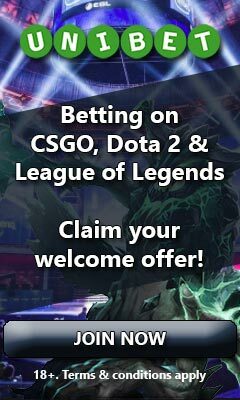 As a new player with Esportsbetting you’re able to begin your betting adventure with nothing to lose as two risk free bets with a value of €13.37 are offered as a welcoming bonus. To be able to receive these, you do have to make a deposit of at least €30, but by using your risk free bets when betting on your first matches you’re always guaranteed to receive your stake back with no restrictions in case you should lose. This makes this bonus quite a valuable one to get your hands on. Your original stake will also be returned with no restrictions in case you should win. The rest of the winnings (that is total amount won – original stake) will be credited as bonus money and has to be wagered once on odds 1.70 or higher before it’s transformed into your own cash. This is a very low wagering requirement, which gives you great chances of making a profitable withdrawal from your first couple of bets. 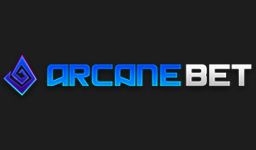 Entering Esportsbetting, the first thing that will hit you is the nice looking design you’re embraced by. This is not just visually appealing, but navigating through the site is also a pleasure as it’s easy to place your bets and find everything that you need. For many of us who are interested in betting on competitive games, the coverage of eSports is the most important thing when choosing a betting operator and Esportsbetting will definitely not let you down on this. 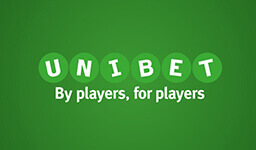 Do they have the absolute best match coverage and the widest variety of entertaining markets of all betting operators? Probably not, but it’s still damn good and will most certainly be enough to please the majority of bettors. Further down in the review you’re able to find sections that will tell you more specifically what games they cover and the different types of entertaining markets you’re able to come across. The fact is that Esportsbetting might not excel in anything particularly, but they do a lot of things really well, which will give you an overall great experience. You rarely have to wait more than a day for a requested withdrawal to be processed, your bets are usually settled quickly, there is plenty of live streaming and the welcome offer is quite a valuable one. In addition to this, a decent selection of high quality casino games is offered which is great for anyone who likes to mix up their gambling. Having said the above, there actually is one thing that they do better than anyone else as far as we know and that is providing bettors with thorough statistics of teams and previous matches. Next to every match that odds are offered for, there is a small button that looks like a graph. When clicking on this a huge library of statistics will open up. This might take a few minutes to get the hang of, but once you do you’ll find out that it’s filled with valuable information, such as the results of previous head to head meetings that certain teams have had and how they’ve performed in their most recent matches. So what about downsides with Esportsbetting? Well there aren’t that many to be mentioned. One thing is however their limited hours of customer support. This might not be a big deal as they do offer live chat support twelve hours a day from 10 am to 10 pm, but in this competitive industry we would really love to see them offer a 24/7 one. If you’re looking for some more unusual games to bet on, such as Street Fighter, Quake or Vainglory, you also won’t find these on Esportsbetting as they mainly focus on the most popular ones. Having a wide variety of markets to choose from is always a good foundation for a diverse and amusing betting experience and Esportsbetting is doing quite a nice job with this. Below you’re able to find a full list of all of the different markets that we have seen offered by them so far. Please do however note that we have only listed markets for CS:GO, League of Legends and Dota 2 as these are currently the most popular games to bet on and a wide variety of markets for any other games are unfortunately quite rare to come by. As you’ll notice in the list, some of the markets on CS:GO are so called special ones. This means that these are only offered for certain tournaments and are therefore not as commonly seen as the others. Will there be an ace in the match? Will there be a 16-0 map? How many maps will go to overtime? When betting with Esportsbetting you can expect to have any withdrawal that you request processed within 24 hours. Having to wait longer than this is quite rare, but for your first withdrawal and before any verification has been done it might take a little bit longer. When it comes to the duration of settling your placed bets, pre match ones are usually settled just a minute or two after the match has finished. Live bets can be even faster than this as these are settled while the match is still on-going, meaning that once the event that you bet on has occurred your bet will be settled. As Esportsbetting is first and foremost focusing on providing a high quality esports betting experience, you won’t find a world class casino in the likes of LeoVegas. Having said that, they do actually offer several high quality slots from NetEnt and Yggdrasil including a couple of jackpot machines. There’s also quite a nice live casino offered by NetEnt where you can play a few table games such as roulette and blackjack. For many eSport enthusiasts this selection of games will be satisfying enough for some exciting casino entertainment on the side. 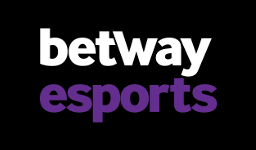 Should this however not be up to your standards, we highly recommend checking out Betway as they have a much wider selection of casino and other games, as well as an amazing coverage of eSport matches and entertaining markets. Canada, Finland, Germany, Malta, Netherlands, New Zealand, Norway, Sweden, Switzerland. Argentina, Australia, Austria, Bosnia, Brazil, Denmark, France, Iceland, India, Indonesia, Ireland, Italy, Malaysia, Nigeria, Philippines, Poland, Portugal, Russia, Spain, Turkey, UAE, UK, Ukraine, USA.